Sunny Beringer hates her first name—her real first name—Sunflower. And she hates that her mom has suddenly left behind her dad and uprooted their family miles away from New Jersey to North Carolina just so she can pursue some fancy degree. Sunny has to live with a grandmother she barely knows, and she’s had to leave her beloved cat and all her friends behind. And no one else seems to think anything is wrong. Send Mom flowers from a “Secret Admirer” to make her dad jealous and make him regret letting them move so far away. Make a playlist of his favorite love songs—the mushier the better—and make sure it’s always playing in the car. Ask them about the good old days when they first fell in love. But while working on a photo album guaranteed to make Mom change her mind and rush them right back home, Sunny discovers a photo—one that changes everything. Sunny’s family, the people she thought she could trust most in the world, have been keeping an enormous secret from her. And she’ll have to reconcile her family’s past and present, or she’ll lose everything about their future. Miriam Spitzer Franklin is a former elementary and middle school teacher who currently teaches homeschooled students and is a writer in residence with the Charlotte-Mecklenburg Schools. She is also the author of Extraordinary. She lives with her husband, two daughters, and two cats in North Carolina. "A beautifully told and at times poignant story about how difficult it can be for children to navigate their changing world. 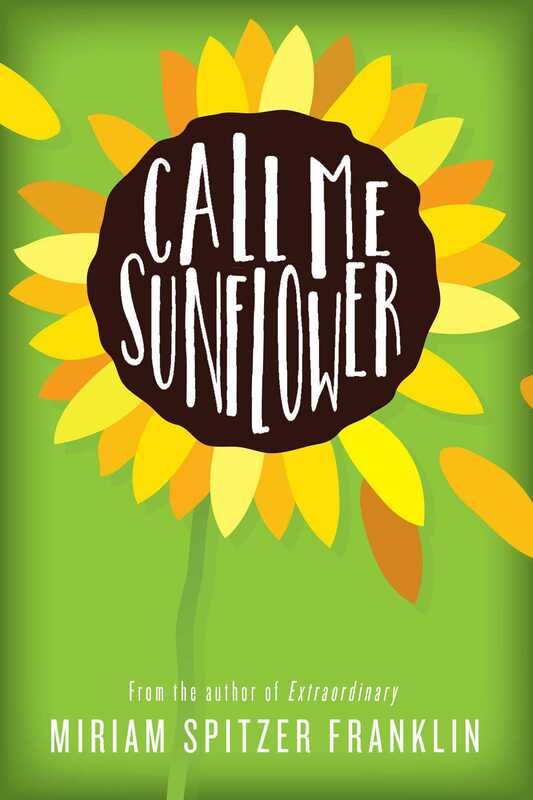 Franklin’s Sunflower is a lovable, creative character, and her attempts to reunite her parents, make new friendships, and form a bond with her grandmother will have readers glued to the page and heartened by the story’s themes of love and resilience." —Wendy McLeod MacKnight, author of It's a Mystery, Pig Face!